Dr Johann van Lengerich pictured with his son at Chilcotts. 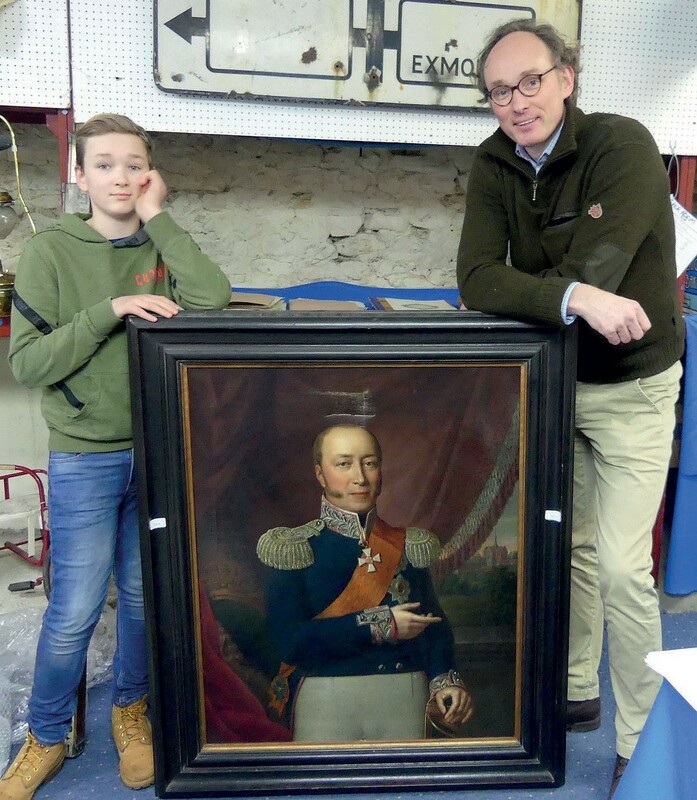 Lengerich made the journey from Germany to Devon on the day of the auction at Chilcotts to secure a portrait of Friedrich Franz I, Grand Duke of Mecklenburg-Schwerin by Rudolph Friedrich Karl Suhrlandt for £1500, depicting a family ancestor. The modern-day fascination with ancestry – as highlighted by the boom in businesses specialising in DNA testing and the success of TV shows such as the BBC’s Who Do You Think You Are? – has done no harm to this (albeit limited) slice of the art market. With the help of the internet, which has made it infinitely easier to locate portraits via search engines and auction alerts, purchasers are known to go to great lengths to secure ancestral pictures. In the process they often disregard condition, size and other factors that would normally affect the price of a painting. An example of this occurred at Chilcotts (21% buyer’s premium) in Honiton, east Devon, where one determined buyer travelled from Germany to secure a 19th century portrait of his family’s Prussian ancestor. He had learned of its sale from the internet. The 3ft 1in x 2ft 6in (96 x 77cm) oil on canvas of Friedrich Franz I, Grand Duke of Mecklenburg-Schwerin by Rudolph Suhrlandt (1781-1862), formed part of the sale contents of the Millers at the Anchor in Porlock Weir, a hotel owned by the late Martin Miller of antiques guide fame. The successful buyer, Dr Johann van Lengerich, had failed to secure the picture when it had last sold in 2006 for £1920 (with fees) at Christie’s South Kensington. Determined not to let it slip through his fingers again, he bid £1500, twice the top estimate, at Chilcotts on March 2. Auctioneer Duncan Chilcott said the picture returned with the buyer to Germany the same day “to be united with the descendants of the duke”. The trip had been kept a secret from Dr van Lengerich’s wife, “who believed that her husband and son were on a trip to Belgium for the day”. At Edinburgh saleroom Lyon & Turnbull (25% buyer’s premium) on February 27 a group of Scottish family portraits all got away to buyers affiliated with the estate. The five large portraits were copies executed by minor artists during the 18th and 19th centuries, depicting various members of the Duff family of Hatton Castle, a country house in Aberdeenshire the family had owned for over 300 years until recently. Nick Curnow, picture specialist and vice chairman at L& T, said the portraits sold to buyers “who either had a personal association with the family or a personal association with the house”. Combined, they spent £22,400. 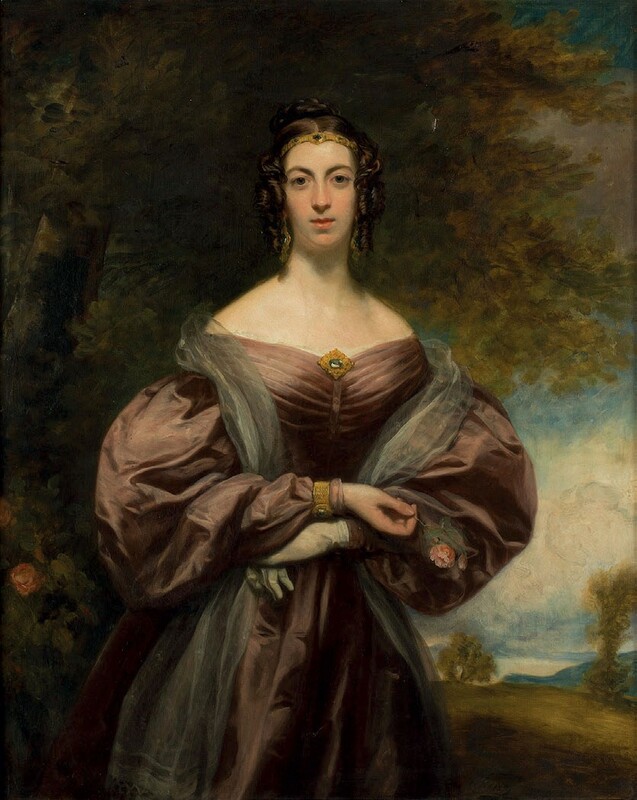 The most expensive was a 19th century portrait of Jessie Duff, the daughter of Garden Duff of Hatton, the 8th Laird of Hatton who remodelled Hatton Castle in 1815. The 4ft 2in x 3ft 4in (1.3 x 1.05m) three-quarter-length portrait, catalogued as ‘Follower of Sir Francis Grant’, sold for £7400 against a £3000-5000 guide. 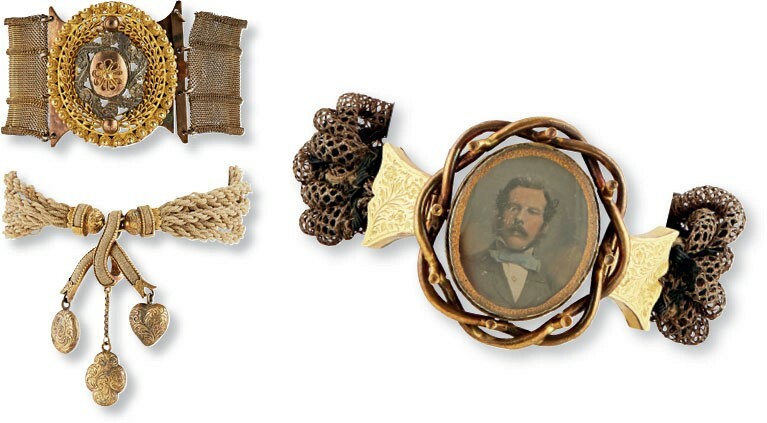 The price was driven by a determined underbidder who had already secured several of the family’s cuff bracelets earlier in the sale – one of which is seen on the sitter’s wrist in the portrait. On February 1, Duggleby Stephenson (15% buyer’s premium) of York sold three 19th century portraits passed by descent from the Starkey family, who were wealthy mill owners in Huddersfield. 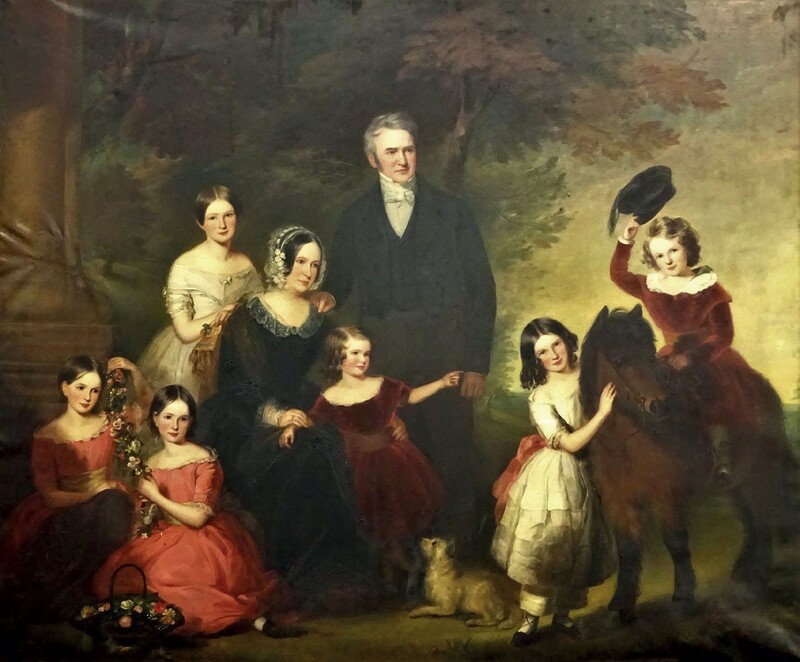 A vast lifesize 19th century painting depicting Thomas Starkey and his family was one of two portraits by Samuel Howell (fl.1828-56). In need of restoration, it sold to a buyer with connections to the family towards its bottom guide at £8200. 'Thomas Starkey and his family' by Samuel Howell – £8200 at Duggleby Stephenson of York.